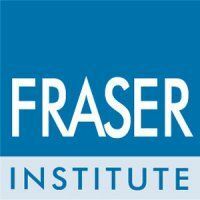 Fraser Institute which is based in Canada recently releases “2011 Economic Freedom of the World Annual Report “. The ranking is based on 5 areas to measure the economic freedom for each country. The areas are Size of Government (Expenditures, Taxes, and Enterprises), Legal Structure and Security of Property Rights, Access to Sound Money, Freedom to Trade Internationally and Regulation of Credit, Labor, and Business. In 2011, Malaysia drop to 78th from 77th in 2010. The drop mainly contributed by big government’s involvement in the economy (GLCs). The ideal is more involvement from private sector. On the other hand, Malaysia score very well in Regulation of Credit, Labor, and Business. The 2011 reports are based on data compiled in 2009. The table below is the 2011 Economic Freedom ranking. Full report can be download at IDEAS webpage.